Artega bought by Tony Fernandes' Caterham Group? 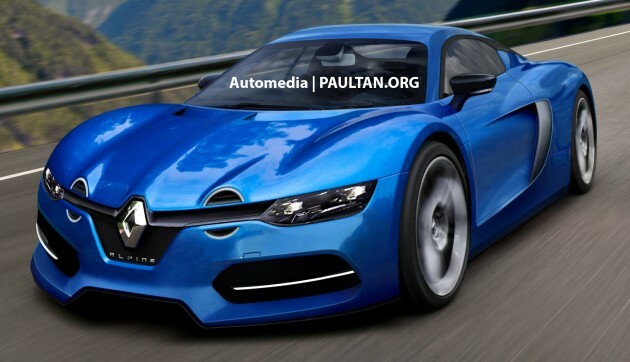 Home » Cars » Alpine » Artega bought by Tony Fernandes’ Caterham Group? Artega bought by Tony Fernandes’ Caterham Group? As Autocar UK understands, Renault’s Alpine-badged sports car is due to make its appearance in concept form at the upcoming 2015 24 Hours of Le Mans endurance race. So, while it’s all progressing as planned for Renault and the Alpine name, things are looking slightly more muddled over at Caterham. Confused? Don’t be. Wind the clock back a year or two and you’ll understand what went down. Back in 2012, it was announced that the two firms would collaborate on the development of a mid-engined sports car that would see Renault and Caterham launch its own take on the project. Unfortunately, said marriage fell apart in 2014 when the divorce was finalised – resulting in Renault gaining a 100% stake in the Alpine brand. Ever since then, reports have indicated that Caterham is still hard at work developing its own sports car despite the fallout. Its stillborn car, coded C120, is widely believed to be close to production-ready as the British firm will employ technology platforms it helped develop during the partnership with Renault. More recently, rumours are circulating that the Caterham Group, owned by Tan Sri Tony Fernandes, Kamarudin Meranun and SM Nasarudin, has acquired now-defunct German carmaker, Artega. The alleged reason for the unconfirmed takeover lies in the notion that Caterham could employ the Artega GT‘s platform as well as the marque’s production facilities. Caterham has dismissed all notions regarding said takeover. When (and if) it debuts, Caterham’s answer to Renault’s Alpine-badged sports car will reportedly arrive with 300 hp while the latter is touted to possess around 250 hp and a kerb weight of 1,100 kg. Aside from varying power outputs, both models are expected to feature different interior layouts and handling characteristics. 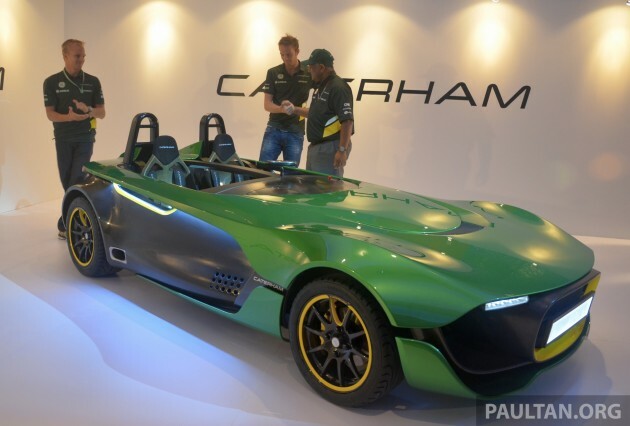 Also, Caterham has made clear its intentions to market different variants of said sports car in the future. Yeah. Proton Artiga concept. That so-called beast. Turn out slightly modded Neo if I’m not mistaken but wif “beast” motor. Neway, it just a old story by Proton. Never heard they will develop it. No point sue this sue that IMHO. As far as I understand, the company is not defunct. They stopped the production of the Artega GT, but they still offer services like design, development and homologation. If that is true, it would be one of a few sensible decisions Caterham did lately. The artega has innovative chassis similar in concept to the lotus elise, use of many off the shelf VAG parts and beautiful exterior designed by henrik fisker. It is a pity that the car did not enter mass production. Up till now I still kept the brochures of the artega from that time. Any sources? I thought the Artega platform was purchased by Spyker and used for their B6 Venator. Original article posted in Autocar. I found the article on 9/6/2015. I went to Artega’s website but found the website was shut downed. Surprisingly, the website has emerged again. Ha.. ha.. Yes, Artega Auto was closed and went for bankruptcy in July 2012. That will be the decade’s JOKE. Tony is technically a BANKRUPT after the failures of F1, QPR and AAX. goment money, can la.. u can claim that it is taxpayer money.. but in this case, he bought all of these toys with his own money.. why u care?? ?